It's raining, it's pouring, but there are still some cyclists who brave the road. In weather like this, cycling can be fun and blow away your cobwebs. However, it's important to make sure your bike is maintained to the highest possible standard so that you are safe on the roads. Cleaning and lubricating your bike will ensure it is kept in prime condition through the winter weather. Utilise our expert advice made easy and ensure that you clean before you lubricate, especially the chain, as oil will otherwise carry dirt deeper into the moving parts, doing more harm than good. Place your bicycle on the work stand, if you have one, or lean it against a wall. 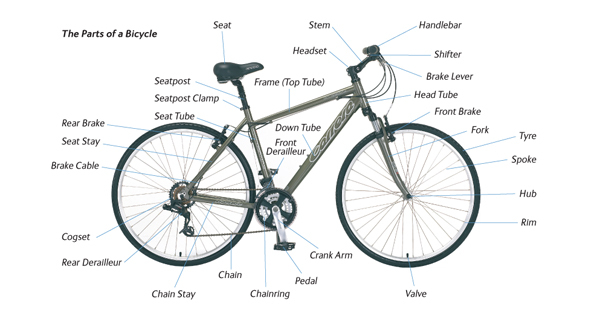 Wipe the bicycle with warm water except for the chain and the parts it contacts. 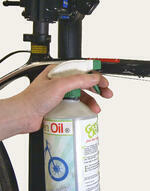 If the bicycle is very dirty, or for the dirtier areas, you can use a citrus degreaser. Leave it for two minutes and rinse off. Wipe off the moisture with a clean, dry cloth. Apply polish or wax to the paintwork and any chrome parts if you wish. Wax will protect the paint and prevent chrome from rusting. Avoid getting harsh cleaning products on the tyres and brake pads. Also avoid getting lubricant or wax on the rims and brake pads. The chain: This connects the pedals to the rear wheel. The chainrings: These are the sprockets (cogs) by the pedals. The cogset: This is the set of sprockets on the rear wheel. Derailleurs: These are the attachments by the chainring and cogset that push the chain from one sprocket to another. Most of the time you can clean this area whilst the chain is on the bicycle. You can buy a special chain cleaning tool if you wish, but the steps below use brushes and cloths. Place your bicycle on a work stand or upside down if you don’t have one. Brush some clean, warm water into the chain and everything it has contact with – the chainrings, cogsets and derailleurs. 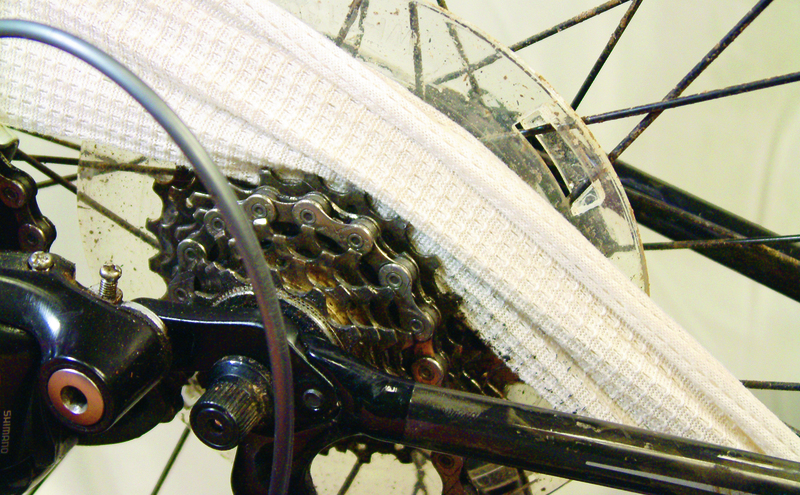 Hold a damp cloth around the chain and pedal backwards. Next make a fold in the cloth and work it, back and forth, in between the sprockets. Don’t expect to get all the dirt off at this stage. 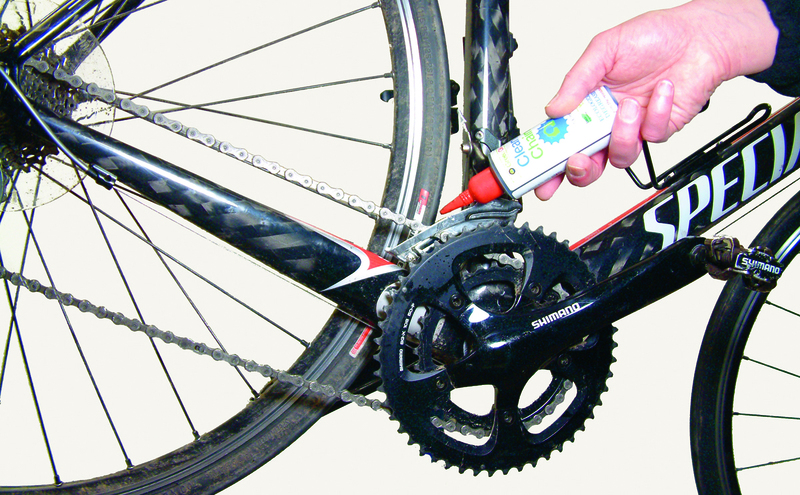 With a clean brush, work some solvent or degreaser into the chain drive. Toothbrushes or nailbrushes are great for the chain, derailleurs and the tops of the sprockets, whilst a longer, stiff-bristled brush is ideal for getting in between the sprockets. Alternatively, use a clean cloth, folded and worked in between the sprockets. Using some warm water, a clean brush and a clean cloth, remove any degreaser and dirt, making sure to get in between each chain link and the sprockets. Finally, dry the whole area, and anywhere else that may have been splashed, with a clean, dry cloth. Read some further tips on how to be safe when cycling in the winter here.